The most recent ISTAT (the Italian National Institute of Statistics) data on the national demographic balance confirmed a gradual and constant trend in the aging of the Italian population. Births, deaths and migratory flows define the extent and composition of a population in its structural characteristics such as gender and age. At 1st January 2018, Italy recorded an average age of 45.2 years, two tenths more than the same date in 2017 (corresponding to about two and a half months), and exactly two years more than in 2007. This increase in the average age is due to the continuous decline in births (2% reduction compared to 2016) and the increase in the elderly population (65 years and over) that in 2018, turned out to be 22.6% (over one percentage point more than in 2011). The working age population (15-64 years old) recorded a further contraction from just over 65% (2011) to 64.1% (2018). People of retirement age gained 2.4 percentage points more than in 2008 whereas people in an active condition have fallen by 1.6 and 0.7 percentage points. Consequently, intergenerational relations have gradually changed. The 2018 index of dependence of the elderly (ratio between the population aged 65 and over and the working population, multiplied by 100) is 56.1%, recording an increase of 4 percentage points on 2008. The working age people, which for decades remained anchored to two thirds of the total population, have gradually started to decline. In fact, while the population aged 15-39 falls from 31.5% to 27%, that aged 40-64, or the one that still includes the generations born in the baby-boom years, grows from 34.2% to 37.1%. The improvement of the quality of life, the reduction of risk factors for chronic diseases (smoking cessation and diet-behavioral policies) and the progress of medical-hospital treatments have led to a progressive lowering of the risks of death promoting the aging of the population [1Demographic indicators – Year 2017. Rome Istat 2018.Available at https://wwwistatit/it/files/2018/02/Indicatoridemografici2017pdf (consulted on 10/07/2018)]. The credit industry deserves a particular attention due to the significant changes it has undergone over the last few years. In Italy, the main reason for the reorganization of the sector lies in the significant number of mergers and acquisitions. This has led to a significant reduction in the number of territorial branches and to the ever-increasing use of modern information technology for both data management and marketing actions. Older workers were those who most felt these changes: they, after many years, had to change their usual place of work (and the consequent dynamics) and to learn new instruments of work [2Giorgi G, Fiz Perez FS, Castiello D’Antonio A, et al. Psychometric properties of the Impact of Event Scale-6 in a sample of victims of bank robbery. Psychol Res Behav Manag 2015; 8: 99-104. [http://dx.doi.org/10.2147/PRBM.S73901] [PMID: 25878514] , 3Mucci N, Giorgi G, Fiz Perez J, Iavicoli I, Arcangeli G. Predictors of trauma in bank employee robbery victims. Neuropsychiatr Dis Treat 2015; 11: 2605-12. [http://dx.doi.org/10.2147/NDT.S88836] [PMID: 26504393] ]. The Italian demographic balance follows the European one. The demographic projections over the long term reveal that the European Union (EU) is ‘turning increasingly grey’ in the coming decades. The total population in the EU is projected to rise from 511 million in 2016 to 520 million in 2070, but the working-age population (15-64) will decrease significantly from 333 million in 2016 to 292 million in 2070 due to fertility, life expectancy and migration flow dynamics. Based on this data, the International Community is increasingly interested in the aging of the population. The European Commission has published the document “The 2018 Ageing Report” which predicts an increase in the old-age dependency ratio (percentage of people aged 65 or over compared to those aged 15-64) from 29.6% in 2016 to 51.2% in 2070. This implies that the European Union would go from having 3.3 working-age people for every person aged over 65 years to only two working-age persons [4The 2018 Ageing Report Economic & Budgetary Projections for the 28 EU Member States (2016-2070) Institutional paper 079 | May Available at https://ec europa eu/info/publications/economic-and-financial-affairs-publications_en (consulted on 10/07/2018)]. This scenario would trouble the sustainability of current welfare systems and lead governments to raise taxes for health and pension funds. It is well known that ageing increases health problems. As people become older, their ability to sustain physical work reduces: cardiorespiratory function and muscle strength decrease by about 1-2% a year after 30 years. Reduced physical capacity is a problem mainly for occupations with a high physical workload. According to the European Health and Safety Agency (EU-OSHA), 30% of people between 50 and 64 years old need to modify their job task to prevent the risks of disability from work. The main health problems responsible for work absenteeism are musculoskeletal disorders (incorrect work postures, heavy objects manipulation or repetitive movements) and mental disorders (depression, burnout syndrome) [5Ilmarinen J. Promoting active aging in the Bilbao workplace: EU-OSHA, 2012 Available at https://osha europa eu/en/tools-and-publications/publications/articles/promoting-active-ageing-in-the-workplace (consulted on 10/07/2018)]. European Union in the “Europe 2020 strategy for smart, sustainable and inclusive growth” proposed two objectives to solve this problem: raising the effective retirement age and increasing the percentage of people employed by the population in working age. EU-OSHA has promoted the “Healthy and safe working environments 2016-2017” campaign to make aging at work more sustainable. This document aims to prevent occupational health problems, provide good practices for older workers and encourage intergenerational communication [6Europe 2020 - A European strategy for smart, sustainable and inclusive growth. Brussels: European Commission, 2010 Available at http://eceuropaeu/eu2020/pdf/COMPLET%20EN%20BARROSO%20%20%20007%20-%20Europe%202020%20-%20EN%20versionpdf (consulted on 10/07/2018)]. The Eurofound concept paper “Sustainable work over the life course” also observed that demographic changes influence the establishment of appropriate management models in the workplace. In particular, this paper has defined two dimensions of work sustainability: the characteristics of work (quality of work) and individual capability (skills at work). The quality of work can have a strong impact on individual health, on the development of skills and on the ability to combine work and private life. Similarly, the individual competences can change throughout the working life and compromise the ability to work. This model encourages the improvement of both quality and skill at work in order to avoid early retirement [7Eurofound. Sustainable work over the life course: Concept paper. Luxembourg: Publications Office of the European Union, 2015 Available at https://www eurofound europa eu/ sites/ default/ files/ef_publication/field_ef_document/ef1519enpdf (consulted on 10/07/2018)]. The working environment is the perfect platform for the promotion of policies aimed at maintaining the psychophysical abilities of the elderly workers. In the document “Active ageing: a policy framework” the World Health Organization (WHO) defines active aging as the process of optimizing opportunities for health, participation and security in order to enhance quality of life as people age [8World Health Organization. Active ageing: a policy framework http://wwwwhoint/ageing/publications/active_ageing/en/ (consulted on 10/07/2018)]. There are several evidences concerning the epidemiological, biological and clinical aspects of active aging. On the other hand, there are still lacking experiences about the scientific evaluation of the positive effects in terms of maintaining the active roles of older people in society and of optimization of the economic sustainability of the management system [9European Observatory of Working Life. Living longer, working better - active aging in EuropeEurofound/EurWork2015 Available at http://wwweurofoundeuropaeu/observatories/eurwork (consulted on 10/07/2018), 10Ippoliti R, Allievi I, Falavigna G, et al. The sustainability of a community nurses programme aimed at supporting active ageing in mountain areas. Int J Health Plann Manage 2018; 33(4): e1100-11. [http://dx.doi.org/10.1002/hpm.2591] [PMID: 30052282] ]. In Italy active aging is defined by Art. 28, paragraph 1, of Legislative Decree 81/2008 and subsequent amendments provide that the risk assessment “[...] must cover all risks to the safety and health of workers, including [...] those related to gender differences, age, origin from other countries and those related to the specific type of contract through which the work service is rendered [...] “. The legislation explicitly requires that risk assessment takes into account the large individual differences in functional skills and staff health [11Arcangeli G, Mucci N. Health problems in the working occupation of young people in handicraft factories. G Ital Med Lav Ergon 2009; 31(3): 303-6. [PMID: 19943447] ]. The adaptation of work to an individual's skills should be a continuous and dynamic process and should not be a particular problem for production activities with an appropriate risk assessment [12Mucci N, Montalti M, Bini C, Cupelli V, Arcangeli G. Evaluation of the impact of night-work on health in a population of workers in Tuscany. G Ital Med Lav Ergon 2012; 34(3)(Suppl. ): 381-4. [PMID: 23405668] ]. In particular, risk assessment policies should be oriented to all workers, regardless of age, feel motivated to pursue their goals and those of the company [13Mucci N, Giorgi G, Cupelli V, Arcangeli G. Future health care workers-ental health problems and correlates. World Appl Sci J 2014; 30(6): 710-5., 14Mucci N, Giorgi G, De Pasquale Ceratti S, Fiz-Pérez J, Mucci F, Arcangeli G. Anxiety, stress-related factors, and blood pressure in young adults. Front Psychol 2016; 7: 1682. [http://dx.doi.org/10.3389/fpsyg.2016.01682] [PMID: 27840615] ]. An innovative approach is to examine the psychological processes and healthy habits involved in the motivation and interaction with the company system [15Barbagallo D. Analysis of the motivation processes in the management of human resources Available at http://www psicologiadellavoro org/?q=content / risorse-umane (consulted on 10/07/2018)-17Guell C, Shefer G, Griffin S, Ogilvie D. ‘Keeping your body and mind active’: An ethnographic study of aspirations for healthy ageing. BMJ Open 2016; 6(1): e009973. 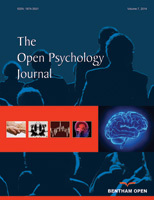 [http://dx.doi.org/10.1136/bmjopen-2015-009973] [PMID: 26743707] ]. Active aging interventions can be included in the health promotion programs (provided for by article 25, paragraph 1, letter a, of Legislative Decree 81/2008 and subsequent amendments). The promotion of health in the workplace is a comple mentary measure to the more traditional health protection [18Pristerà LA, Sgarrella C, Luongo F, et al. Promoting the quality of health surveillance of workers exposed to wood dust, with particular care to NPSC, in the territory of the Health Agency of Florence. G Ital Med Lav Ergon 2012; 34(3 Suppl. ): 617-20. [PMID: 23405732] ]. Its specific objective is to prevent or to modify harmful behaviors at risk for the most frequent chronic diseases (cardiovascular diseases, tumors, respiratory diseases, diabetes, etc.). It assumes a strategic value in the workplace, especially if it is linked to the reduction of additive or synergistic effects on the health of both occupational and lifestyle risks. The main targets of occupational health promotion initiatives in Europe mainly concern actions aimed at tobacco smoking, alcohol consumption, drugs consumption, physical inactivity and vaccinations [19Bini C, Grazzini M, Chellini M, et al. Is hepatitis B vaccination performed at infant and adolescent age able to provide long-term immunological memory? An observational study on healthcare students and workers in Florence, Italy. Hum Vaccin Immunother 2018; 14(2): 450-5. [http://dx.doi.org/10.1080/21645515.2017.1398297] [PMID: 29106 317] , 20Flahr H, Brown WJ, Kolbe-Alexander TL. A systematic review of physical activity-based interventions in shift workers. Prev Med Rep 2018; 10: 323-31. [http://dx.doi.org/10.1016/j.pmedr.2018.04.004] [PMID: 29868387] ]. Therefore, the laws of health and safety at work play a crucial role in promoting active aging. The Finnish Institute of Occupational Health (FIOH) recently proposed the Work Ability Model [21Ilmarinen J. The Work Ability Index (WAI). Occup Med (Lond) 2007; 57(2): 160-0. [http://dx.doi.org/10.1093/occmed/kqm008] ]. This template is a comprehensive and contemporary approach to understanding and managing wellbeing in the workplace. The work ability model can be represented using the ‘house’ diagram. The Finnish Model compares work ability to the roof of a house. There are four floors in the house that represent different influences, which together contribute to the roof’s ongoing integrity, the ability to work. The first floor is about health and functional capabilities. This floor focuses on lifestyle (physical health, psychological wellbeing and leisure activities). The worker must join health promotion campaigns to eat healthy, practice regular physical activity, have proper sleep hygiene and must not smoke. The second floor deals with the need of continuous updating of professional skills in the workplace. The company must organize training courses that take into account changes in the learning process of the senior worker. One of the pillars of active aging is to make the most personalized programs possible for the elderly worker. The third one is about values, attitudes and psychological motivation. All these features can be improved by an increase in managerial capabilities. This level shows how the worker can have both intrinsic and extrinsic benefits from an adequate working environment. The top floor, the one that directly supports the work ability, concerns with work community and leadership. This includes: the key role of the immediate supervisor and their competence and ability to facilitate resources, the need of respectful treatment in the workplace, and the possibility of designing, creating, supporting and maintaining workplaces in which workers of all abilities can use their skills to engage in productive, safe and meaningful work. The fourth floor represents all the dimensions of the work environment (physical, mental, social) and concerns the organization of work, the forms of employment, the working time, the working community and the work tasks, as well as the management. The FIOH work ability model emphasizes the need for a multilevel interest to guarantee the elderly worker an optimal stay in the workplace [22Ilmarinen J. Towards a longer worklife Ageing and the quality of worklife in the European Union Helsinki: Finnish Institute of Occupational Health (FIOH), Ministry of Social Affairs and Health, 2006 Available at http://wwwsopolat/get_filephp?id=1246 (consulted on 10/07/2018)]. A cohort study conducted on 599 Brazilian hospital workers between 2009 and 2011 confirmed that the dimensions proposed for the Work Ability House model represent a good multidisciplinary approach and can be used in the management of work skills [23Martinez MC, Latorre MdoR, Fischer FM. Testing the “Work Ability House” Model in hospital workers. Rev Bras Epidemiol 2016; 19(2): 403-18. [http://dx.doi.org/10.1590/1980-5497201600020016] [PMID: 27532 762] ]. The working environment is considered the best platform for the promotion of active aging. Several projects have focused on developing strategies to improve the adaptation of the elderly worker to the workplace and the intergenerational communication. Today jobs are characterized by a technological component, often unknown to older workers. In Spain, Active Participation Centers have been set up to provide learning sessions on the use of everyday electronic devices for older workers. The results of this case-control study on 200 workers have shown that increasing the knowledge of older workers for Information and Communication Technologies (ICT) improves the overall quality of life and relationships with younger colleagues [24Díaz-López MdelP, López-Liria R, Aguilar-Parra JM, Padilla-Góngora D. Keys to active ageing: New communication technologies and lifelong learning. Springerplus 2016; 5(1): 768. [http://dx.doi.org/10.1186/s40064-016-2434-8] [PMID: 27386254] ]. Guell et al. focused on promoting physical activity as the prevention of early retirement from work. They conducted semi-structured interviews with 27 participants aged between 65 and 80 and then divided them into three different classes of “athletic phenotype” (athletes, outside and inside, sedentary / solitary) depending on the habitual practice or not physical exercise. A personalized workshop was then set up to suggest strategies to improve the training level of each of the three classes [25Guell C, Panter J, Griffin S, Ogilvie D. Towards co-designing active ageing strategies: A qualitative study to develop a meaningful physical activity typology for later life. Health Expect 2018; 21(5): 919-26. [http://dx.doi.org/10.1111/hex.12686] [PMID: 29624803] ]. The working environment is, therefore, an ideal platform to carry out initiatives that promote active aging; improving the technical knowledge or the physical health of the elderly worker. An appropriate active aging program provides a motivational stimulation among older workers. The result is an improvement of workers’ psychophysical wellbeing with the consequent reduction in absenteeism, accidents and limitations on work [26Arcangeli G, Giorgi G, Ferrero C, Mucci N, Cupelli V. Prevalence of workplace bullying in a population of nurses at three Italian hospitals. G Ital Med Lav Ergon 2014; 36(3): 181-5. [PMID: 25369717] , 27Giorgi G, Perminienė M, Montani F, Fiz-Perez J, Mucci N, Arcangeli G. Detrimental effects of workplace bullying: Impediment of self-management competence via psychological distress. Front Psychol 2016; 7: 60. [http://dx.doi.org/10.3389/fpsyg.2016.00060] [PMID: 26913013] ]. Another long-term effect could be an increase in the number of workers who voluntarily choose to remain in service once they reach the retirement age. The availability and sensitivity of company management are very important for the preparation of an active aging promotion program. Furthermore, there are evidences suggesting that a well-planned and organized intervention leads to a return on investment [28Dement JM, Epling C, Joyner J, Cavanaugh K. Impacts of workplace health promotion and wellness programs on health care utilization and costs: Results from an academic workplace. J Occup Environ Med 2015; 57(11): 1159-69. [http://dx.doi.org/10.1097/JOM.0000000000000555] [PMID: 2653 9763] , 29O’Donnell MP. What is the ROI for workplace health promotion? It really does depend, and that’s the point. Am J Health Promot 2015; 29(3): v-viii. [http://dx.doi.org/10.4278/ajhp.29.3.v] [PMID: 25559256] ]. A review of 72 United States studies concluded that every dollar spent on a health promotion program generated an average savings of $ 3.48 in health care for each worker and a reduction in absenteeism costs of 5,82 dollars. In total, every dollar spent produced an ROI (Return On Investment) of $ 4.30 [30Zank D, Friedsam D. Employee Health Promotion Programs: What is the Return on Investment? UW Population Health Institute 2005 6((5)) Available at https://uwphi. pophealth. wisc. edu/publications/issue-briefs/issueBriefv06n05.pdf (consulted on 10/07/2018)2018; ]. Giving older workers more free time or reducing their workload has increased the effective retirement age by around three years. A locksmith company has introduced a system called “Age Master” which offers days of extra leave for workers over the age of 58. The people involved in the pilot project worked about three years longer than the expected retirement age. An energy supply company has introduced an “80-90-100” program that allows workers to reduce their working hours by 20% with a 10% cut in pay, without loss of pension rights. About 25% of employees and workers took advantage of this opportunity. The effective retirement age has increased by around three years, reaching 64 years. These two examples confirm that it is possible to concretely define innovative models to raise the effective retirement age [5Ilmarinen J. Promoting active aging in the Bilbao workplace: EU-OSHA, 2012 Available at https://osha europa eu/en/tools-and-publications/publications/articles/promoting-active-ageing-in-the-workplace (consulted on 10/07/2018)]. The European Innovation Partnership on Active and Healthy Ageing (EIP on AHA) focused on the importance to develop good practices to ensure all European citizens remain as healthy as possible as they become older. They have tested their project in Portugal involving 70 institutions. The intent was to create guidelines to prevent memory impairment and social isolation in urban and rural areas. This Community Case Study was called the Ageing@Coimbra. This reference site can inspire other countries to develop innovative good practices, building consortia at regional level for the benefit of elderly [31Malva JO, Amado A, Rodrigues A, et al. The Quadruple Helix-Based Innovation Model of Reference Sites for Active and Healthy Ageing in Europe: The Ageing@Coimbra Case Study. Front Med (Lausanne) 2018; 5: 132. [http://dx.doi.org/10.3389/fmed.2018.00132] [PMID: 29868588] ]. In recent years, the use of multidisciplinary and integrated methodologies in the management of health and safety in the workplace is emerging. In this sense, the search for the mutual adaptation of man and systems of production is one of the priority objectives. Companies must consider the age of workers in the design of tasks and workstations. An adequate assessment of age-related risks can bring benefits in terms of reducing injury risk, increasing productivity and health benefits for workers. Older people can work longer when they can manage timings and work-tasks. The reorganization of the company systems according to bio-ergonomic ageing criteria is an incredible opportunity for the employer and the worker.